Have you heard the phrase learning ecosystem and wondered what it means? Or did you learn about it just now and is it leaving you scratching your head? Not to worry. We’ll provide a simple and quick introduction to the concept of a learning ecosystem in this article. It’s an important idea, and even if you didn’t know the term before today, you may well find you’ve already set up a learning ecosystem at work, or at least parts of one. 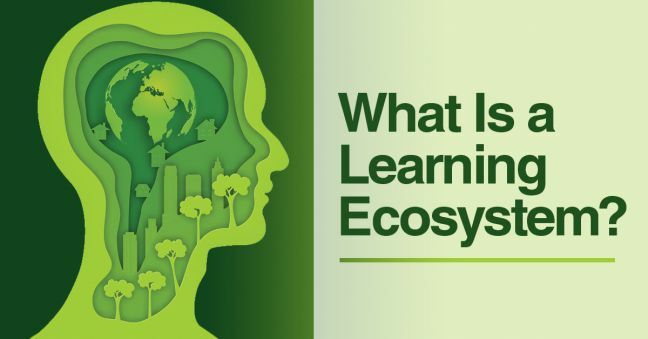 Read on to learn more about learning ecosystems. 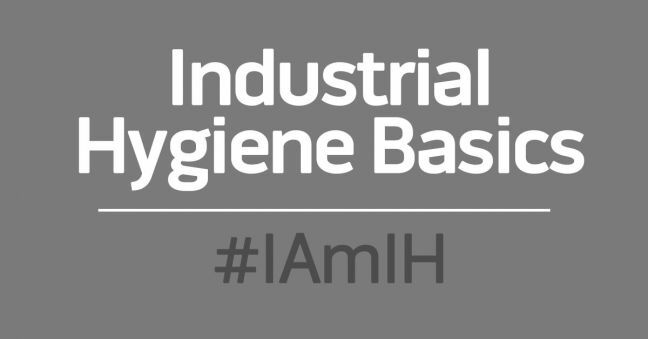 Industrial Hygiene (IH) Basics: What is a Permissible Exposure Limit (PEL)? If you’re new to industrial hygiene, you may have heard of permissible exposure limits (PELs) but may perhaps not know what they are. Don’t worry–there are good reasons to be confused. In this article, which is just one in our ongoing Industrial Hygiene (IH) Basics series–we’ll explain what an OSHA PEL is, tell you where you can find them, give you some tips on how to use them, and give you some reasons and nudges for using alternative occupational exposure limits that are more protective than PELs. If you’re new to the safety profession, or even if you’ve been around a while, you may have a few questions about the US Occupational Health and Safety Administration (OSHA). We may not have ALL the answers for you here, but we think we’ve got a lot of the common OSHA FAQs along with helpful answers and links to additional helpful OSHA-related resources. Of course, if we’ve missed a specific OSHA-related question that you were hoping to get answered please use the comments section below the article and we’ll try to get you an answer as well as add that question to our list of FAQs. We like fun as much as the next workplace performance blog, but the truth is sometimes you’ve got to work hard to learn, excel, and become a master at something. 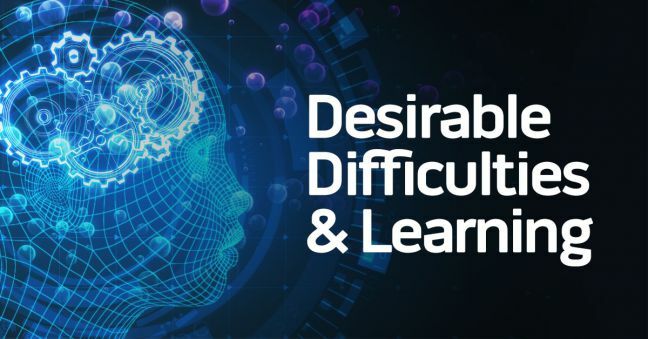 We touched on this recently in our blog post on desirable difficulties, a term used for a group of counter-intuitive learning strategies that make learning a little harder and slower at first but that increase long-term retention and application on the job in the long term. And we’re going to be discussing desirable difficulties and more thoughts related to how hard or fun learning should be in an upcoming interview with learning research professional Patti Shank that you’ll see here soon. And in this article, we’re going to continue that focus on the hard work involved in learning, and in particular in evidence-based research into how exactly experts in a field become experts. Hint: if you guessed it involved hard work, you’re right. In particular, we’re going to focus on a concept called deliberate practice, which research shows is a difficult but reliable way to attain mastery in a field. 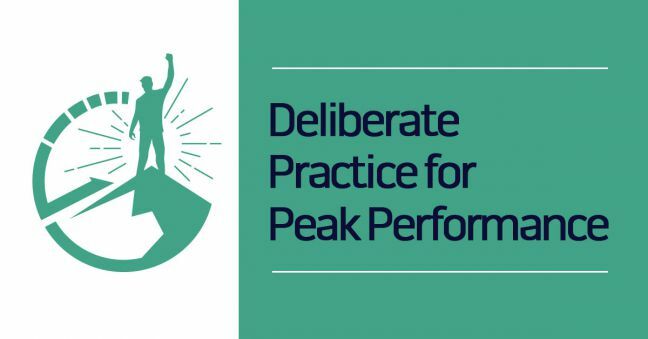 If you’re involved in learning and development at your workplace, this is important information for you to know because you can use deliberate practice to help employees at your organization more rapidly improve their performance on the path to expertise. This article is based on the book Peak: Secrets from the New Science of Expertise by Anders Ericsson and Robert Pool. Many people are looking for the simple, fast way to improve learning programs at work (and therefore improve the performance of employees, managers, and organizations as a whole). That’s understandable, but the problem is that we don’t necessarily know how to reach these goals. When we consider the best way to improve learning programs and increase workplace performance, a whole range of considerations come to mind. In this article, we’ll only discuss two, although those two will present plenty of insights. The first is that much of what we think we know about learning isn’t true, much of what we do isn’t conducive to long-term learning, application on the job, and performance improvement, and we’re not good judges of our own learning. The second is that there are some proven learning techniques that we know work (because there’s evidence proving they work) and in some cases, these proven techniques are a little bit counter-intuitive. Collectively, these counter-intuitively effective learning techniques are sometimes called desirable difficulties (a term first coined by learning and memory expert Robert Bjork and made increasingly popular in the book Make it Stick: The Science of Successful Learning by Peter Brown, Henry Roediger III, and Mark McDaniel). In this article, we’ll spend a little time reviewing some of our mistaken ideas about learning and then we’ll introduce to you some of those desirable difficulties. So that part’s easy enough. But sometimes, people don’t know there’s a name for the kind of web-based computer software that is used for delivering training, including but not limited to safety training, online as well as tracking employee training progress, completion, and expiration–and even more. In the learning and development industry, the tool that safety professionals would use to track safety training is known as a learning management system, or LMS for short. If you’re a safety professional and you’re looking for an online software application to help you track safety training completion, it’s an LMS that you’re looking for. 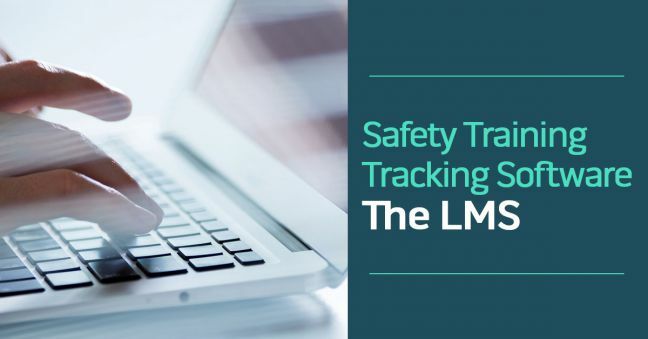 And even if your initial focus is on tracking safety training completion, you’ll soon discover that a learning management system does a lot more than just that, and that you’ll be excited to use some of these other LMS tools to improve your overall safety training program. If you’ve got a few minutes, read on to find out more about LMSs and how to use them for safety training. And don’t forget to download the free online safety training buyer’s guide at the bottom, which includes a lot of information about LMSs. 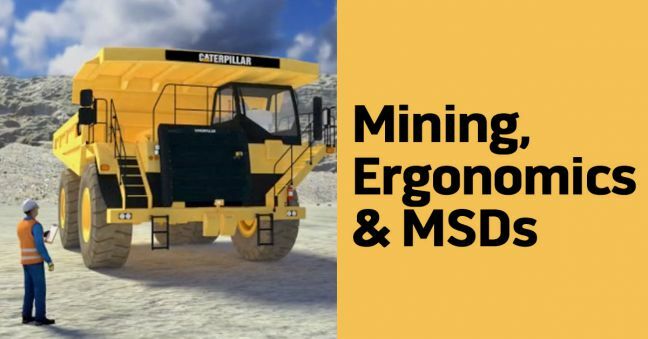 At the most recent MSHA TRAM (Training Resources Applied to Mining) conference, I caught a good presentation by Jonisha Pollard covering ergonomic risk factors in mining that lead to musculoskeletal disorders (MSDs). I learned much, and figured it would be great information to share here and also realized there would be no one better to share the information (and her expertise) than Ms. Pollard. I’m happy to say that we were lucky enough to get Ms. Pollard to come talk to us about mining, ergonomics, and MSDs as well as quite a bit about NIOSH Mining in general and some other NIOSH Mining projects. In the interview, which we’ve included below in both written and video formats, Ms. Pollard also tells us where to find a bunch of helpful information, mobile phone apps, and even interactive web-based tools that NIOSH Mining has created to help create safer work conditions for miners in mines throughout the US. If you’re in mining, we think you’ll enjoy and learn from this interview as well as all the resources NIOSH Mining has to offer. Before we begin, we’d like to thank Jonisha Pollard in particular for her time, knowledge, and expertise, and NIOSH Mining in general for all the good work, including their research on mining safety issues and all the great mining safety information and tools they’re providing. You can watch & listen to the recorded discussion below. We’ve also typed it all up for you if you’d prefer to read–just click the MORE button if that’s the case. How much thought have you given to online safety training? What about to safety culture? And, how much have you thought about the way(s) online safety training can influence your organization’s safety culture. That’s the topic of this new article in the ASSP’s Professional Safety January issue. And of course, it’s just one of many interesting and helpful articles in the publication. Be sure to check out Professional Safety to see this article but lots of other good ones as well. Also, since this article is in part about online safety training, check out this recent article about the progress of the upcoming ASSP/ANSI Z490.2 national standard on online EHS training. Jeff Dalto of Convergence Training co-wrote the article with Morgan Bliss, Assistant Professor in the Safety and Health Management program at Central Washington University (one of several recent collaborations with Morgan Bliss, an industrial hygienist). To get some related thoughts on similar topics from Morgan and Jeff, you might also want to check out this recorded ASSP Training & Communications Practice Specialty webinar on Safety and Organizational Learning. Way back in 1970, the United States federal government passed the OSH Act. The OSH Act created the Occupational Safety and Health Administration (OSHA) and all the OSHA safety regulations you’re familiar with. We’ll tell you more about the OSH Act at the origins of today’s OSHA and the OSHA standards in this article. 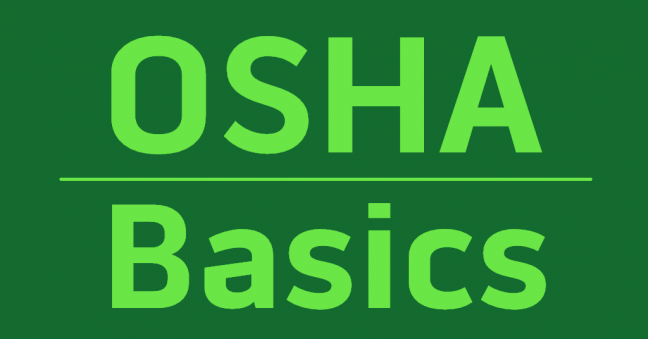 This article is just one in a series of articles that we call OSHA Basics. The OSHA Basics articles cover fundamental issues related to OSHA like the OSH Act that this article covers. 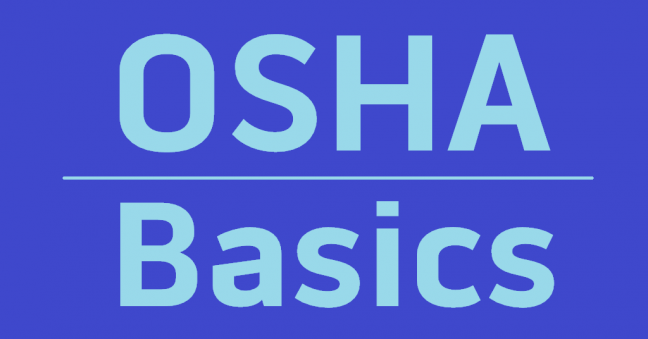 See the list and links at the bottom of this article for a list of our OSHA Basics articles. 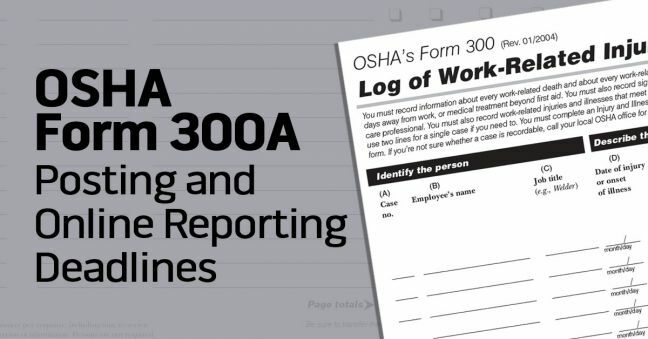 A quick heads up for you: deadlines for posting your OSHA Form 300A and electronically submitting your OSHA Form 300A injury & illness data at OSHA’s online submission website are both coming soon. We’ve got the details you need to know below. This article is an interview on the topic of using visual literacy to improve occupational safety and the workplace. It’s another in our occasional series of interviews with various subject matter experts in training, safety, safety training, and related disciplines. In this interview, we’re talking with Doug Pontsler of the Center of Visual Expertise. 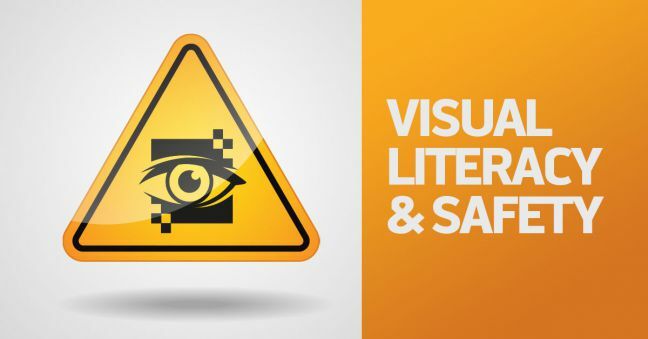 We think we’ll find this topic helpful and interesting, so let’s get right to learning what visual literacy is and how developing our skills in visual literacy can help us improve occupational safety at the workplace. As you know, there are many new technologies available now or coming soon that may influence learning and development in different ways. So many that it’s a little hard to keep track of them all, not to mention have an understanding of what they are and just exactly what influences they may have on workforce learning and development. 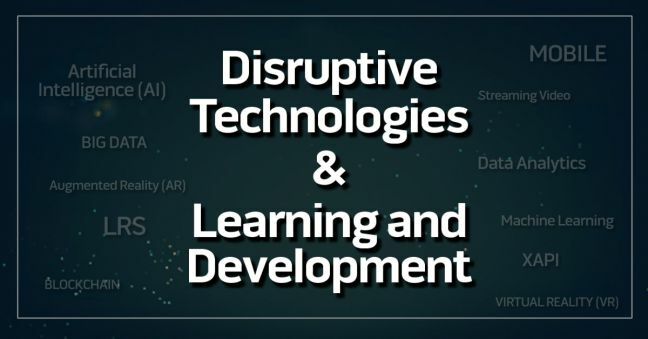 And of course, as often happens when a new technology comes about, it’s also easy to get a little over-excited and think this is the long-awaited, massive game-changer that will completely change learning and development forever, bringing with it all the solutions to all the problems and challenges we face. To help us get a better understanding of all these new technologies, to see how we might use them in learning and development, and to see which may have some type of “disruptive” effect in workforce training, we’ve asked Dr. Stella Lee, a learning professional with a ton of experience studying technologies for workforce L&D, to share some of what she knows with us. And with that said, let’s start learning about disruptive technologies and their use in learning and development from Dr. Lee.